As an approved installer for Nu-way boilers and equipment, CH Systems is pleased to report that Nu-way Enertech has recently been awarded accreditation from Safecontractor for its commitment to achieving excellence in health and safety.  With more than 263 major clients and over 23000 contractor members, Safecontractor is a leading third party accreditation scheme that recognises very high standards in health and safety management amongst UK contractors. The scheme is applicable to most sectors although it is particularly relevant to food manufacture, property, facilities management, retail and leisure sectors, all of which are big users of contracted services. Under the Safecontractor scheme, businesses undergo a vetting process which examines health and safety procedures and their track record for safe practice. Those companies meeting the high standard are included on a database, which is accessible to registered users only – via a website. Nu-way’s application for Safecontractor accreditation was driven by the desire to have a uniform and recognised standard across the business, and accreditation will enhance the company’s ability to attract new contracts – as reported on the company Nu-Way website. Nu-way is currently credited as the UK’s largest distributor of boiler spare parts, and supplies 70 countries around the globe. Some of the company’s most recent clients have included major players such as Kelloggs, Shell, Rolls Royce and the M.O.D. So basically, should your business need to invest in a heating system – gas, oil or duel fuel – Nu-way Enertech is a good option. If you’d like further information on boiler installation (and any Nu-way Enertech product), feel free to contact the CH Systems team on 0208 302 8149 or info@chsystems.cc.